A three-quarter view, i.e., an oblique view, of familiar objects often leads to a higher subjective goodness rating when compared with other orientations. What is the source of the high goodness for oblique views? First, we confirmed that object recognition performance was also best for oblique views around 30° view, even when the foreshortening disadvantage of front- and side-views was minimized (Experiments 1 and 2). In Experiment 3, we measured subjective ratings of view goodness and two possible determinants of view goodness: familiarity of view, and subjective impression of three-dimensionality. Three-dimensionality was measured as the subjective saliency of visual depth information. The oblique views were rated best, most familiar, and as approximating greatest three-dimensionality on average; however, the cluster analyses showed that the “best” orientation systematically varied among objects. We found three clusters of objects: front-preferred objects, oblique-preferred objects, and side-preferred objects. Interestingly, recognition performance and the three-dimensionality rating were higher for oblique views irrespective of the clusters. It appears that recognition efficiency is not the major source of the three-quarter view advantage. There are multiple determinants and variability among objects. 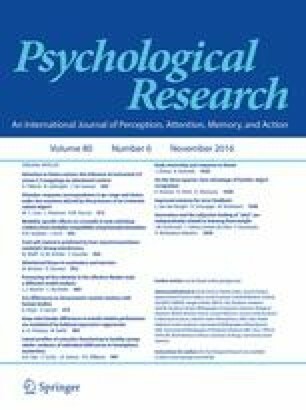 This study suggests that the classical idea that a canonical view has a unique advantage in object perception requires further discussion.